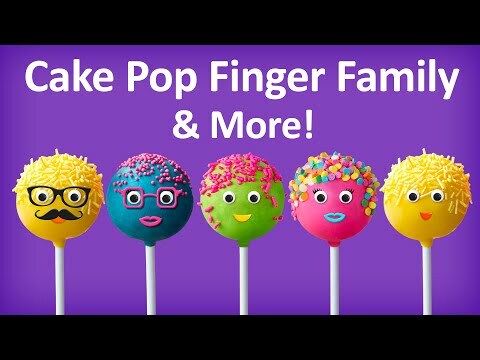 Watch and enjoy "Cake Pop Finger Family Collection" nursery rhymes for children. "Watch Our Elephant Finger Family Nursery Rhyme" https://www.youtube.com/watch?v=UEiGNzWpliw "Watch Our Ice cream Finger Family Nursery Rhyme" https://www.youtube.com/watch?v=GnVyVGtkGb8 "Watch Our Lollipop Finger Family Nursery Rhyme" https://www.youtube.com/watch?v=3ssD4ZsULlA "Watch Our Lion Finger Family Nursery Rhyme" https://www.youtube.com/watch?v=Y6F3pucNzE4 "Watch Our Pig Finger Family Nursery Rhyme" https://www.youtube.com/watch?v=vkA1bf4Jv1U "Watch Our Monster Finger Family Nursery Rhyme" https://www.youtube.com/watch?v=72bLUmmW-I4 "Watch Our Pumpkin Finger Family Nursery Rhyme" https://www.youtube.com/watch?v=lR27w42Q7gM "Watch our Apple Finger Family Nursery Rhyme" https://www.youtube.com/watch?v=x9gEe-Rb2kg "Watch our Tomato Finger Family Nursery Rhyme" https://www.youtube.com/watch?v=1_v879QE1RU "Watch our Ice Cream Candy Finger Family Nursery Rhyme" https://www.youtube.com/watch?v=uCFXxZX0rO0 Lyrics: Daddy finger, daddy finger, where are you? Here I am, here I am. How do you do? Mommy finger, Mommy finger, where are you? Here I am, here I am. How do you do? Brother finger, Brother finger, where are you? Here I am, here I am. How do you do? Sister finger, Sister finger, where are you? Here I am, here I am. How do you do? Baby finger, Baby finger, where are you? Here I am, here I am. How do you do?